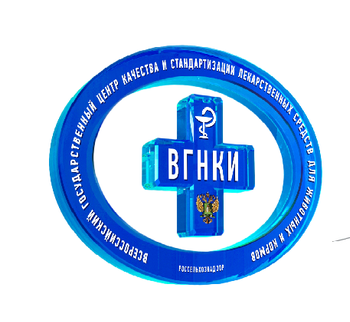 The staff of the Federal state budget institution "Russian state Center of quality and standardization medicines for animals and feed" (fgbi "VGNKI") analyzed data on certain types of food products regulated by the Rosselkhoznadzor and imported during the period from October 29 to November 4, 2018. According to the information-analytical system "Argus", the volume of imports of food products regulated by the Rosselkhoznadzor for the period amounted to about 31.6 thousand tons. The percentage distribution among the groups of imported goods are the following: 47% of the total import volume made up of vegetable products; 34,1% – meat; 9,9% – milk and dairy products. Also a significant share in imports fell on feeds and feed additives (6.1 percent). Among the meat products a significant share in imports fell to poultry meat (21.1 per cent) and beef (8.5 per cent). Pork amounted to 1.6% of imported agricultural products, and prepared meat and fish products – by 2.2%. The import volume of eggs sold amounted to 0.5% of the total import volume of food products for a specified period. In the period from 29 October to 4 November 2018 42.4 per cent of products were imported from the countries of the Eurasian economic Union; 5.2 percent from the Asia-Pacific economic cooperation, and 4.9% – from EU countries. The main countries – trade partners for the period were Brazil (46,7%), Belarus (15,9%) and Faroe Islands (9.1 per cent). Trademark-geographical structure of imports, we can conclude that the EEU countries for the analyzed period were the main suppliers to Russia of meat, milk and dairy products, eggs and products of their processing, whereas, the APEC countries accounted for the largest share in export of fish and fish products. Delivery of products to the territory of Russia in the period under review was mainly done through road and sea transport. Road traffic was equal to 6.48 tonnes. In container shipping had 5,52 thousand tons, marine bilge transport of about 19 and 15 thousand tons, rail transport – 0,42 thousand tons, aviation and 0.01 thousand tons. 13:30 GK "OK" AT the END of the FIRST quarter of 2019 has OPENED TWO NEW DISCOUNTER "YES!" 13:00 OOO "Parma" will take part in the exhibition "MVC: Grain-mixed Feed-veterinary-2020"